Instagram stories first appeared in 2016, and allowed users to take photos or videos and add layers or effects to them before posting. Instagram stories were initially met with mixed reviews, with some users immediately falling in love, while others complained that this new feature was too similar to Snapchat. Two years later and it’s clear that Instagram stories are only growing in popularity and are here to stay. 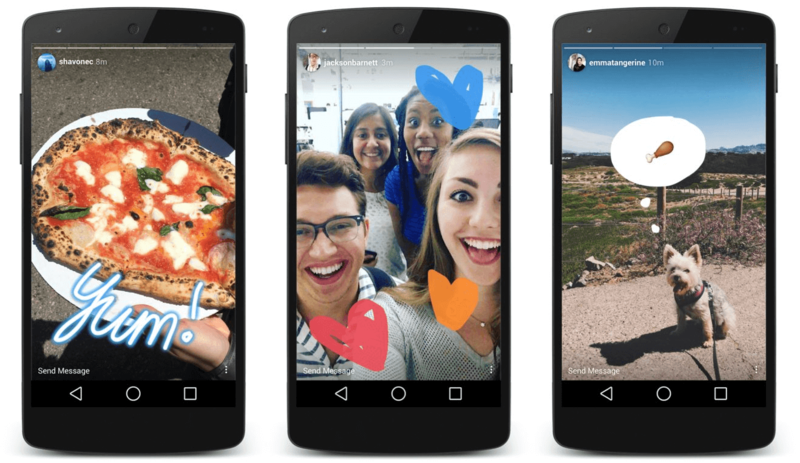 Instagram stories are an essential tool for any business’ Instagram account. Stories can help drive traffic to your website, increase sales, improve brand recognition, and capture the attention of younger audiences. Instagram stories can be used to drive traffic and sales when you include a link to your website or a shoppable tag in your post. By doing this, you give users the ability to go straight to your website or directly to a product with a simple click or swipe. The shoppable tags for Instagram stories are the perfect way to increase sales, particularly for e-commerce companies. This feature will only become more and more lucrative as Instagram tests and launches in-app payment options. To enable product tagging on your account, find ‘Shopping’ under your Settings and select a product catalog to connect to your profile. Once this is enabled, you can begin tagging products in your posts. Tap the product in your photo, enter and select the name of the product, and then share. Your photo will now be posted with a tag that automatically shares relevant product information and links interested users directly to your product. Posting Instagram stories to your account is a great branding-tool and a surefire way to attract millennial and generation z consumers. For the last year, Instagram stories have drawn a larger audience than Snapchat – in fact, several Snapchat influencers have made the switch to Instagram stories to increase their reach. Stories are also a great way to post frequently and spontaneously without bombarding your followers with too many unwanted posts. Stories are ideal for not just polished posts, but also for posting quick updates, behind-the-scenes looks, or engaging questions or polls.